SUPER CLEAN! Lightly lived in, MOVE IN READY!! 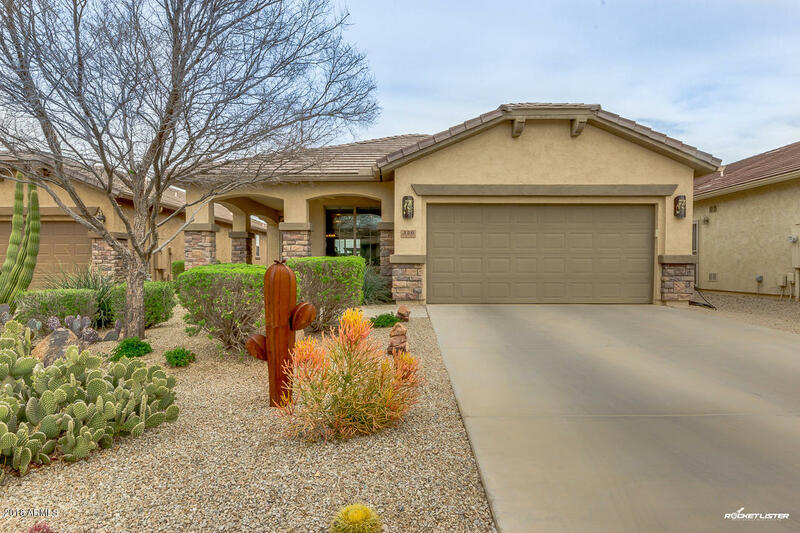 This unique sagebrush has an Arizona room ready for breakfast on a sunny mornings! Den is perfect for office or sitting room. Washer & dryer included. Split Master bedroom has a walk in closet and large picture window viewing backyard. Large master bath. Kitchen has mountain views,staggered maple cabinets, all appliances,set in sink,corian counter tops. R/O and soft water system. NO CARPET, all tile or just installed WOOD! Garage has been insulated and option for A/C. Also built in cabinets for maximum storage new epoxy floors. Backyard is one of the few with complete privacy fencing. New watering system and outside was freshly painted in 2017.